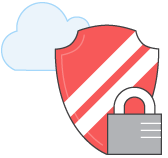 Today's cloud security requires a smarter approach to cyberthreat detection. The old approach no longer works and must evolve. That is where Cisco Stealthwatch Cloud's Dynamic Entity Modeling solution comes in.